Choosing a professional to install, service and repair your electric hot water system in the Cairns area can get your anxiety going at the best of times. Its time to rest easy! Your local experienced team of plumbers and gas fitters at Plumbnorth are here to help with any situation which may arise, keeping your property functional, and your family safe. 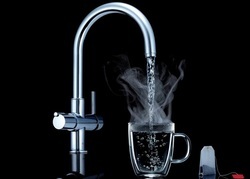 ​If you require an electric hot water system installation, repair, servicing or replacement at your commercial business or home residence, think your local team of experts at Plumbnorth first. You won't be disappointed with our service and attention to detail! ​A few tips when looking at a new electric hot water system. When installed on an off peak tariff, possibility of running out of hot water or having the water inside tank dropping below 60 degrees creating an opportunity for legionella and other bacteria to form. ​Require a lot of service valves to regulate and temper the build up of temperature and pressure of the water in the pipes and tank. ​These service valves require regular attention to ensure that they are performing their job properly, also to prevent them from clogging up with debris, causing major problems for your capital investment down the track a bit.